Not to be confused with Kawaii. For the Childish Gambino EP, see STN MTN / Kauai. Kauaʻi, anglicized as Kauai[a] (English: /kəˈwaɪ.i/; Hawaiian: [kɐˈwɐʔi]), is geologically the oldest of the main Hawaiian Islands. With an area of 562.3 square miles (1,456.4 km2), it is the fourth-largest of these islands and the 21st largest island in the United States. Known also as the "Garden Isle", Kauaʻi lies 105 miles (169 km) across the Kauaʻi Channel, northwest of Oʻahu. This island is the site of Waimea Canyon State Park. The United States Census Bureau defines Kauaʻi as census tracts 401 through 409 of Kauai County, Hawaiʻi, which comprises all of the county except for the islands of Kaʻula, Lehua and Niʻihau. The 2010 United States Census population of the island was 67,091. The most populous town was Kapaʻa. In 1778, Captain James Cook arrived at Waimea Bay, the first European known to have reached the Hawaiʻian islands. He named the archipelago after his patron the 6th Earl of Sandwich, George Montagu. During the reign of King Kamehameha, the islands of Kauaʻi and Niʻihau were the last Hawaiʻian Islands to join his Kingdom of Hawaiʻi. Their ruler, Kaumualiʻi, resisted Kamehameha for years. King Kamehameha twice prepared a huge armada of ships and canoes to take the islands by force, and twice failed; once due to a storm, and once due to an epidemic. In the face of the threat of a further invasion, however, Kaumualiʻi decided to join the kingdom without bloodshed, and became Kamehameha's vassal in 1810. He ceded the island to the Kingdom of Hawaiʻi upon his death in 1824. In 1815, a ship from the Russian-American Company was wrecked on the island. In 1816, an agreement was signed by Kaumualiʻi to allow the Russians to build Fort Elizabeth. It was an attempt by Kaumuali’i to gain support from the Russians against Kamehameha I. Construction was begun in 1817, but in July of that year under mounting resistance of Native Hawaiians and American traders the Russians were expelled. The settlement on Kauai has been considered an abrupt instance of a Pacific outpost of the Russian Empire per se. Valdemar Emil Knudsen was a Norwegian plantation pioneer who arrived on Kauai in 1857. 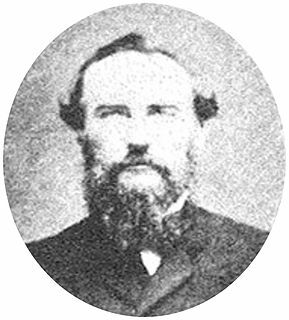 Knudsen, or "Kanuka", originally arrived in Koloa where he managed Grove Farm, but later sought a warmer land and purchased the leases to Mana and Kekaha, where he became a successful sugarcane plantation owner. Knudsen settled in Waiawa, between Mana and Kekaha, immediately across the channel from Niʻihau Island. His son, Eric Alfred Knudsen, was born in Waiawa. Knudsen was appointed land administrator by King Kamehameha for an area covering 400 km2, and was given the title konohiki as well as a position as a nobility under the king. Knudsen, who spoke fluent Hawaiian, later became an elected representative and an influential politician on the island. Knudsen lends his name to the Knudsen Gap, a narrow pass between Hã’upu Ridge and the Kahili Ridge. Its primary function was as a sugar farm planted by the Knudsen family. In 1835, Old Koloa Town opened a sugar mill. From 1906 to 1934 the office of County Clerk was held by John Mahiʻai Kāneakua, who had been active in attempts to restore Queen Liliuokalani to the throne after the United States takeover of Hawaiʻi in 1893. Hawaiian narrative locates the name's origin in the legend of Hawaiʻiloa, the Polynesian navigator credited with discovery of the Hawaiʻian Islands. The story relates how he named the island of Kauaʻi after a favorite son; a possible translation of Kauaʻi is "place around the neck", describing how a father would carry a favorite child. Another possible translation is "food season". Kauaʻi was known for its distinct dialect of the Hawaiian language; this survives on Niʻihau. While the standard language today adopts the dialect of Hawaiʻi island, which has the sound [k], the Kauaʻi dialect was known for pronouncing this as [t]. In effect, Kauaʻi dialect retained the old pan-Polynesian /t/, while "standard" Hawaiʻi dialect has changed it to the [k]. [clarification needed] Therefore, the native name for Kauaʻi was said as Tauaʻi, and the major settlement of Kapaʻa would have been pronounced as Tapaʻa. Kauaʻi's origins are volcanic, the island having been formed by the passage of the Pacific Plate over the Hawaii hotspot. At approximately five million years old, it is the oldest of the main islands. The highest peak on this mountainous island is Kawaikini at 5,243 feet (1,598 m). The second highest peak is Mount Waiʻaleʻale near the center of the island, 5,148 ft (1,569 m) above sea level. One of the wettest spots on earth, with an annual average rainfall of 460 inches (38.3 ft; 11.7 m), is located on the east side of Mount Waiʻaleʻale. The high annual rainfall has eroded deep valleys in the central mountains, carving out canyons with many scenic waterfalls. On the west side of the island, Waimea town is located at the mouth of the Waimea River, whose flow formed Waimea Canyon, one of the world's most scenic canyons, which is part of Waimea Canyon State Park. At three thousand feet (910 m) deep, Waimea Canyon is often referred to as "The Grand Canyon of the Pacific". Kokeo Point lies on the south side of the island. The Na Pali Coast is a center for recreation in a wild setting, including kayaking past the beaches, or hiking on the trail along the coastal cliffs. The headland, Kuahonu Point, is on the south-east of the island. Kauaʻi’s climate is tropical, with generally humid and stable conditions year round, although weather phenomena and infrequent storms have caused instances of extreme weather. At the lower elevations the annual precipitation varies from an average of about 50 inches on the windward (northeastern) shore, to less than 20 inches on the (southwestern) leeward side of the island. Average temperature in Lihu'e, the county seat, ranges from 78 °F (26 °C) in February to 85 °F (29 °C) in August and September. Kauaʻi’s mountainous regions offer cooler temperatures and provide a pleasant contrast to the warm coastal areas. At the Kōkeʻe state park, 3,200–4,200 ft (980–1,280 m) ASL, day temperatures vary from an average of 45 °F (7 °C) in January to 68 °F (20 °C) in July. In the winter temperatures have been known to drop down to the 30s and 40s at Kōkeʻe state park, which holds an unofficial record low of 29 °F (−2 °C) recorded in February 1986 at Kanaloahuluhulu Meadow. Precipitation in Kauaʻi's mountainous regions averages 50–100 in (1,300–2,500 mm) annually. Situated about ten miles (16 km) southeast of Kōkeʻe state park at an elevation of 5,075 ft (1,547 m), is the Mt. Waiʻaleʻale rain gauge. Mt. Waiʻaleʻale is often cited in literature as being the wettest spot on earth, although this has been disputed. Based on data for the period from 1931 through 1960 the average yearly precipitation was 460 in (11,700 mm) (U.S. Environmental Science Services Administration, 1968). Between 1949 and 2004 the average yearly precipitation at Mt. Waiʻaleʻale was 374 in (9,500 mm). Not only does Kauaʻi hold a record in average yearly precipitation, it also holds a record in hourly precipitation. During a storm on January 24–25, 1956, a rain gauge at Kauaʻi’s former Kilauea Sugar Plantation recorded a record twelve inches (305 mm) of precipitation in just 60 minutes. The value for one hour is an underestimate, since the rain gauge overflowed, which may have resulted in an error by as much as an inch. An accurate measurement may have exceeded Holt, Missouri's world record rainfall of 12 inches in 42 minutes on June 22, 1947. Hawaii Standard Time (UTC−10:00) is observed on Kauaʻi year-round. When most states are on daylight saving time, for example, the time on Kauaʻi is three hours behind the West Coast of the United States and six hours behind the East Coast. Tourism is Kauaʻi's largest industry. In 2007, 1,271,000 people visited Kauaʻi. The two largest groups were from the continental United States (84% of all visitors) and Japan (3%). As of 2003, there were a total of approximately 27,000 jobs on Kauaʻi, of which the largest sector was accommodation/food services (26%, 6,800 jobs) followed by government (15%) and retail (14.5%), with agriculture accounting for 2.9% (780 jobs) and educational services providing 0.7% (183 jobs). In terms of income, the various sectors that constitute the visitors' industry accounted for one third of Kauaʻi's income. Employment is dominated by small businesses, with 87% of all non-farm businesses having fewer than 20 employees. As of 2003, Kauaʻi's unemployment rate was 3.9%, compared to 3.0% for the entire state and 5.7% for the United States as a whole. Kauaʻi's poverty rate was 10.5%, compared to the contiguous 48 states at 10.7%. As of mid-2004, the median price of a single-family home was $528,000, a 40% increase over 2003. As of 2003, Kauaʻi's percentage of home ownership, 48%, was significantly lower than the State's 64%, and vacation homes were a far larger part of the housing stock than the Statewide percentage (Kauaʻi 15%, State 5%). The housing prices decreased significantly in 2008. As of Spring 2014 the median price had risen to about $400,000. From the 1830s through the mid-20th century, sugarcane plantations were Kauaʻi's most important industry. In 1835 the first sugarcane plantation was founded on Kauaʻi, and for the next century the industry would dominate the economy of Hawaiʻi. Most of that land is now used for ranching. Kauaʻi's sole remaining sugar operation, the 118-year-old Gay & Robinson Plantation, plans to convert its operation to cultivating and processing sugarcane ethanol. Kauaʻi is home to the U.S. Navy's "Barking Sands" Pacific Missile Range Facility, on the sunny and dry western shore. HF ("shortwave") radio station WWVH, sister station to WWV and WWVB in Fort Collins, Colorado, is located on the west coast of Kauaʻi about 3 miles (5 km) south of Barking Sands. WWVH, WWV and WWVB are operated by the US National Institute of Standards and Technology, broadcasting standard time and frequency information to the public. Land in Kauaʻi is very fertile; farmers raise many varieties of fruit and other crops. Guava, coffee, sugarcane, mango, banana, papaya, avocado, star fruit, kava, noni and pineapple are all cultivated on the island. In the 1970s, Kauaʻi burned sugar cane waste to supply most of their electricity. As of 2008[update], the majority of the Kauaʻi's electricity was produced by importing liquid petroleum, costing $69.3 million in 2006 and $83 million in 2007. By 2011, 92% of KIUC's power came from diesel. As of 2017, KIUC's fuel mix was 56% fossil fuels, 9% hydroelectric, 12% biomass and 23% solar. KIUC has successfully integrated large-scale solar into its grid so that, during daylight hours on most sunny days, 97 percent or more of its generation comes from renewable sources. KIUC offers $1,000 rebates to residential customers who have solar water heating systems installed on their homes by Energy Wise Participating Contractors. In March 2017, KIUC opened a Tesla Energy 13 MW / 52 MWh battery next to the 12 MW Kapaia solar plant for 13.9¢/kWh. In December 2018, KIUC opened a AES Distributed Energy project for 20 MW solar with 20 MW / 100 MWh batteries priced at 11.1¢/kWh. The city of Līhuʻe, on the island's southeast coast, is the seat of Kauaʻi County and the second largest city on the island. Kapaʻa, on the "Coconut Coast" (site of an old coconut plantation) about 6 miles (9.7 km) north of Līhuʻe, has a population of nearly 10,000, or about 50% greater than Līhuʻe. Princeville, on the island's north side, was once the capital of Kauaʻi. Anahola Bay is a snorkeling and swimming beach with clear pools and a long coral reef. Driving directions in the Kauai Trailblazer guide. Located on the southeastern side of the island, Lihue Airport is the aviation gateway to Kauaʻi. Līhuʻe Airport has direct routes to Honolulu, Kahului/Maui, the United States mainland, and Vancouver, Canada. Hawaii Route 50, also known as Kaumualiʻi Highway, is a thirty-three mile road that stretches from Hawaii Route 56 at the junction of Rice Street in Līhuʻe to a point approximately 1/5 mile north of the northernmost entrance of the Pacific Missile Range Facility on the far western shore. Hawaii Route 58 stretches 2 miles (3.2 km) from Route 50 in Līhuʻe to the junction of Wapaa Road with Hawaii 51 near Nawiliwili Harbor on Kauaʻi. Hawaii Route 56, also known as Kuhio Highway, runs 28 miles (45 km) from Hawaii Route 50 at the junction of Rice Street in Līhuʻe to the junction of Hawaiʻi Route 560 in Princeville. Hawaii Route 560 passes 10 miles (16 km) from the junction of Route 56 in Princeville and dead ends at Keʻe Beach in Haʻena State Park. Hawaii Route 55 covers 7.6 miles (12.2 km) from the junction of Route 50 in Kekaha to meet with Hawaii Route 550 south of Kokeʻe State Park in the Waimea Canyon. Hawaii Route 550 spans 15 miles (24 km) from Route 50 in Waimea to Kōkeʻe State Park. Hawaii Route 540 goes 4 miles (6.4 km) from Route 50 in Kalaheo to Route 50 in Eleʻele. The road is mainly an access to residential areas and Kauaʻi Coffee. Hawaii Route 530, also called Kōloa Road, stretches 3.4 miles (5.5 km) from Route 50 between Kalaheo and Lawai to Route 520 in Koloa. The road is mainly an alternative to Route 520 for travel from the west side to Poʻipū. Hawaii Route 520 runs 5 miles (8.0 km) from the "Tunnel of Trees" at Route 50 to Poʻipū on the south shore. Hawaii Route 570 covers 1 mile (1.6 km) from Route 56 in Līhuʻe to Līhuʻe Airport. Hawaii Route 580 spans 5 miles (8.0 km) from Route 56 in Wailua to where the road is no longer serviced just south of the Wailua Reservoir. Hawaii Route 581 passes 5 miles (8.0 km) from Route 580 in the Wailua Homesteads to a roundabout just west of Kapaʻa Town. Hawaii Route 583, also known as Maalo Road, stretches 3.9 miles (6.3 km) from Route 56 just north of Līhuʻe to dead-end at Wailua Falls Overlook in the interior. Holo Holo Koloa Scenic Byway, this state designated scenic byway runs over 19 miles (31 km) and connects many of Kauaʻi's most historical and cultural sights such as the Maluhia Road (Tree Tunnel), Puhi (Spouting Horn), The National Tropical Botanical Gardens, and the Salt Beds. The Kauaʻi Bus is the public transportation service of the County of Kauaʻi. Kauaʻi is home to thousands of wild chickens, or moa in Hawaiian, who have few natural predators, as the mongoose was never introduced in Kauaʻi as it has been on other Hawaiian islands. Kauaʻi's chickens originated from the original Polynesian settlers, who brought them as a food source. They have since bred with European chickens that have gotten free from farms and cockfighting breeders. The Kauaʻi Heritage Center of Hawaiʻian Culture and the Arts was founded in 1998. Their mission is to nurture a greater sense of appreciation and respect for the Hawaiʻian culture. They offer classes in Hawaiʻian language, hula, lei and cordage making, the lunar calendar and chanting, plus trips to cultural sites. Kaua'i is home to many shave ice shops, a tradition in the islands. A view of the Hanalei Valley in Northern Kauaʻi. The Hanalei River runs through the valley and 60% of Hawaiʻi's taro is grown in its fields. A view of the Nā Pali coastline from the ocean. It is part of the Nā Pali Coast State Park which encompasses 6,175 acres (20 km2) of land and is located on the northwest side of Kauaʻi. A view of the Kalalau Valley on Kauaʻi's Nā Pali Coast from the Kalalau Lookout. The island of Kauaʻi has been featured in more than seventy Hollywood movies and television shows, including the musical South Pacific and Disney's 2002 animated feature film Lilo & Stitch along with its franchise's three sequel films (2003's Stitch! The Movie, 2005's Lilo & Stitch 2: Stitch Has a Glitch, and 2006's Leroy & Stitch) and first television series (Lilo & Stitch: The Series). Scenes from South Pacific were filmed in the vicinity of Hanalei. Waimea Canyon was used in the filming of the 1993 film Jurassic Park and its 2015 sequel Jurassic World. Scenes from the 2016 comedy film Mike and Dave Need Wedding Dates were also filmed. Parts of the island were also used for the opening scenes of the Indiana Jones film Raiders of the Lost Ark. Other movies filmed here include Six Days Seven Nights, the 1976 version King Kong and John Ford's 1963 film Donovan's Reef. Recent films include Tropic Thunder and a biopic of Bethany Hamilton titled Soul Surfer. A scene in the opening credits of popular TV show M*A*S*H was filmed in Kauaʻi (helicopter flying over mountain top). Some scenes from Just Go with It, George of the Jungle and Pirates of the Caribbean: On Stranger Tides were also filmed in Kauaʻi. A Perfect Getaway is set in Kauaʻi. Parts of the 2002 film Dragonfly were filmed there (although the people and the land were presented as South American) and the producers hired extras (at least three with speaking parts) from the ancient Hawaiʻian native population, which seeks to preserve its cultural heritage, including the pre-United States name of these[which?] two islands, Atooi or Tauaʻi. Major acts of two Elvis Presley films, 1962's Blue Hawaii and 1966's Paradise, Hawaiian Style, were filmed at various locations on Kauaʻi. Both films boast scenes shot at the famous Coco Palms resort. Hurricane Iniki destroyed the Coco Palms and it was subsequently never rebuilt. However, Paradise, Hawaiian Style in particular, showcases the resort at its peak for posterity's sake. Coco Palms resort is now in the process of being torn down and rebuilt. The Descendants, a film by Alexander Payne released in November 2011 and featuring George Clooney as lead actor, has major parts shot in Kauaʻi, where the main character and his cousins own ancestral lands which they are considering selling. The film is based on the 2007 novel by the Hawaiʻian writer Kaui Hart Hemmings. ^ The spelling with the ʻokina accent (as "Kauaʻi") indicates syllabic "i" with the respelled pronunciation of "cow-Eye" or "cow-a-ee". Sometimes, an apostrophe or grave is used, as: Kaua'i or Kaua`i. ^ "Mokihana". Native Hawaiian Plants. Kapiʻolani Community College. Archived from the original on 2009-03-23. Retrieved 2009-03-07. ^ "Kauai population tops 72,00". Garden Island Press. ^ a b c "Kauai History". Hawaiian Tourism Authority. Retrieved 2012-06-16. ^ Joesting, Edward (1988). Kauai: The Separate Kingdom. University of Hawaii Press. Pages 198-199. ISBN 9780824811624. ^ Lund, Fredrik Larsen (2017). Norske utposter. Vega forlag. Pages 301-302. ISBN 978-82-8211-537-7. ^ Lougheed, Vivien (2007). Adventure Guide: Mazatalan and Vicinity. Hunter Publishing, Inc. Page 250. ISBN 9781588435910. ^ Ward, Greg (2002). Hawaii. Rough Guides. Page 472. ISBN 9781858287386. ^ Soboleski, Hank (Aug 10, 2013). "John Mahiai Kaneakua". The Garden Island. Retrieved 15 January 2014. ^ Pukui, Mary Kawena; Elbert, Samuel H.; Mookini, Esther T. (1974). 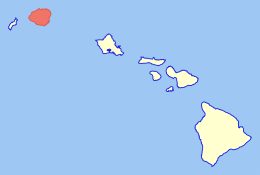 Place Names of Hawaii. University of Hawaii Press. ISBN 978-0-8248-0524-1. ^ Juvik, Sonia P.; Juvik, James O.; Paradise, Thomas R. (1998). Atlas of Hawai'i. University of Hawaii Press. pp. 3–6. ISBN 978-0-8248-2125-8. ^ "Trail Information - Kalalau Trail". ^ Schmidli, R.J. (1983). Weather extremes (NOAA Technical Memorandum NWS WR-28, Revised.) Salt Lake City, UT: NOAA. ^ "Discover Kauai". H&S Publishing, LLC. ^ a b c "Kauai Economic Outlook Summary: Tourism Woes Mean No Growth Through 2009". University of Hawaii Economic Research Organization. 2008. Retrieved 2008-11-05. ^ a b c d e "Kauai Economic Development Plan 2005-2015" (PDF). County of Kauai Office of Economic Development, Kauai Economic Development Board. 2004. Retrieved 2008-11-05. ^ "Kauai Plantation Railway - Kauai Sugar Plantations". ^  Kauaʻi Island Utility Cooperative website. ^ a b Wagman, David (16 March 2017). "Tesla Teams With Tiny Hawaiian Utility to Store Solar". IEEE. Retrieved 29 March 2017. as 2011 we were 92% dependent on fossil fuel generation,” primarily diesel and naphtha. ^ "Tesla launches its Powerpack 2 project in Hawaii, will help Island of Kauai get more out of its solar power". March 8, 2017. Retrieved March 8, 2017. ^ "AES' New Kauai Solar-Storage 'Peaker' Shows How Fast Battery Costs Are Falling". January 16, 2017. Retrieved January 24, 2017. ^ Kenneth Chang (April 6, 2015). "In Hawaii, Chickens Gone Wild". The New York Times. Retrieved April 7, 2015. Dr. Gering speculated that until recent decades, the Kauaʻi chickens were largely like the ones that the Polynesians brought long ago, living in small parts of the island and modest in number. Then they began mating with the escaped farm chickens or their descendants, with greater fecundity and a wider range of habitats. ^ E. Gering; M. Johnsson; P. Willis; T. Getty; D. Wright (March 6, 2015). "Mixed ancestry and admixture in Kauaʻi's feral chickens: invasion of domestic genes into ancient Red Junglefowl reservoirs". Molecular Ecology. 24: 2112–2124. doi:10.1111/mec.13096. PMID 25655399. our data support the hypotheses that (i) Kauaʻi's feral G. gallus descend from recent invasion(s) of domestic chickens into an ancient Red Junglefowl reservoir and (ii) feral chickens exhibit greater phenotypic diversity than candidate source populations. ^ "Kauai Film Locations | GoHawaii.com". www.gohawaii.com. Retrieved 2017-08-03. ^ Current interest in the language and culture. 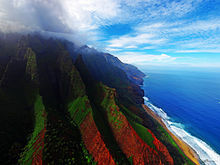 ^ "Kauai Chiefs to Change to Original Name of Island: Atooi". UniLang. Cook, Chris (1996). The Kauaʻi Movie Book. Landscape photography by David Boynton. Honolulu: Mutual Publishing. ISBN 1-56647-141-9. Joesting, Edward (1 February 1988). Kauai: The Separate Kingdom. University of Hawaii Press. ISBN 978-0-8248-1162-4. Sprout, Jerry; Sprout, Janine (22 November 2016). Kauai Trailblazer: Where to Hike, Snorkel, Bike, Paddle, Surf. Diamond Valley Company. ISBN 978-0-9913690-6-5. Kauaʻi County is a county in the U.S. state of Hawaiʻi. It consists of the islands of Kauaʻi, Niʻihau, Lehua, and Kaʻula. As of the 2010 Census the population was 67,091. The county seat is Līhuʻe. Kōloa is an unincorporated community and census-designated place (CDP) in Kauaʻi County, Hawaiʻi, United States. The population was 2,144 at the 2010 census, up from 1,942 at the 2000 census. The first successful sugarcane plantation in the Hawaiian Islands was started here in 1835. It became a part of Grove Farm in 1948. Lihue or Līhuʻe is an unincorporated community, census-designated place (CDP) and the county seat of Kauai County, Hawaii, United States. Lihue is the second largest town on the Hawaiian island of Kauaʻi after Kapaʻa. As of the 2010 census, the CDP had a population of 6,455, up from 5,694 at the 2000 census. Waimea Canyon, also known as the Grand Canyon of the Pacific, is a large canyon, approximately ten miles (16 km) long and up to 3,000 feet deep, located on the western side of Kauaʻi in the Hawaiian Islands of the United States. Waimea is Hawaiian for "reddish water", a reference to the erosion of the canyon's red soil. The canyon was formed by a deep incision of the Waimea River arising from the extreme rainfall on the island's central peak, Mount Waiʻaleʻale, among the wettest places on earth. Kōkeʻe State Park is located in northwestern Kauaʻi in the Hawaiian Islands. It includes the Kōkeʻe Museum at the 15 mi (24 km) marker on State Road 550, which focuses on the weather, vegetation, and bird life; a lodge which serves food and sells gifts; cabins for rent; and hiking trails. The park is just north of Waimea Canyon State Park at 22°7′49″N 159°39′32″W and includes 4,345 acres (17.58 km2) of mountainous terrain. Valdemar Emil Knudsen was a sugarcane plantation pioneer on west Kauai, Hawaii. Russian Fort Elizabeth is a National Historic Landmark and is administered as the Russian Fort Elizabeth State Historical Park just southeast of present-day Waimea on the island of Kauaʻi in Hawaiʻi. It is located at the site of the former Fort Elizabety, the last remaining Russian fort on the Hawaiian islands, built in the early 19th century by the Russian-American Company as the result of an alliance with High Chief Kaumualiʻi. The star fort was employed by the Kingdom of Hawaii in the 19th century under the name Fort Hipo. The Wailuā River is a major river on the island of Kauaʻi in the U.S. state of Hawaii. At 20 miles (32 km) long, it is Kauai's largest and longest river, as well as Hawaii's 3rd longest river. It is formed by the confluence of its North and South forks just west of Wailua and enters the Pacific Ocean at 22°2′42″N 159°20′11″W. It is the only navigable river in the Hawaiian Islands. It is a center of activity for locals and visitors in the form of boat tours to Fern Grotto, kayaking and water skiing. Eric Alfred Knudsen was an American author, folklorist, lawyer and politician. He is most known for his writings and collections of short stories of and about Hawaiian folklore and culture. Kapaʻa is an unincorporated community and census-designated place (CDP) in Kauaʻi County, Hawaiʻi, United States. The population was 10,699 at the 2010 census, up from 9,471 at the 2000 census. Route 520 is the road which connects Kōloa and Poʻipū to Hawaii Route 50, the principal highway of the southern part of Kauaʻi island in the state of Hawaii. It is under the jurisdiction of Kauaʻi County, though it is numbered within the state numbering system. There are two heritage railways in Kauai, the birthplace of Hawaiian railroading. It was added to the National Register of Historic Places on January 19, 1979. The Royal Coconut Coast is the designation given to Kauai’s east side, defined as the area between the Wailua Golf Course, heading north along the coast to Kealia Beach, and extending inland towards the center of the island, to Mount Waialeale. The Royal Coconut Coast includes the sacred Wailua River area and the large towns of Wailua and Kapaa. The area derives its name from the acres of coconut trees located along the coast and highway. The area also hosts many places of historical and cultural significance, some of the land held as sacred and was once reserved only for the royalty of Hawaii.